Brownwood Farms is recalling approximately 260,000 units of fruit preserves and fruit butter products containing milk, an allergen not declared on the label. 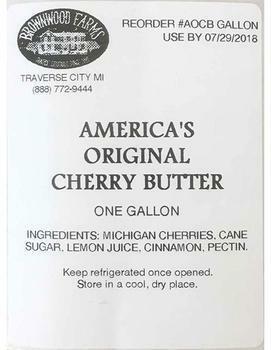 “Best by” dates are indicated on labels affixed to the bottom of all affected products. The recalled products are packaged in glass containers with metal lids. Customers who purchased the recalled products should return them to their retailer for a full refund. Consumers with questions may contact the company Monday through Friday at 1-888-772-9444 from 9:00 AM – 5:00 PM (_T) or by email at recall@brownwoodfarms.com.